Design/construct companies are Landscape Contractors that also provide design services. Usually a budget is set, and the contractor will build something that will fit into that monetary parameter. The contractor who completes the design/construct makes their profit based on the agreed construction cost, minus the materials and labour. It is in their best financial interest to give the client something worth less than the agreed amount. The design can often be heavily influenced by cheap and easily-constructed elements that are cost-effective for the contractor to build, rather than the client receiving real value for money and quality. 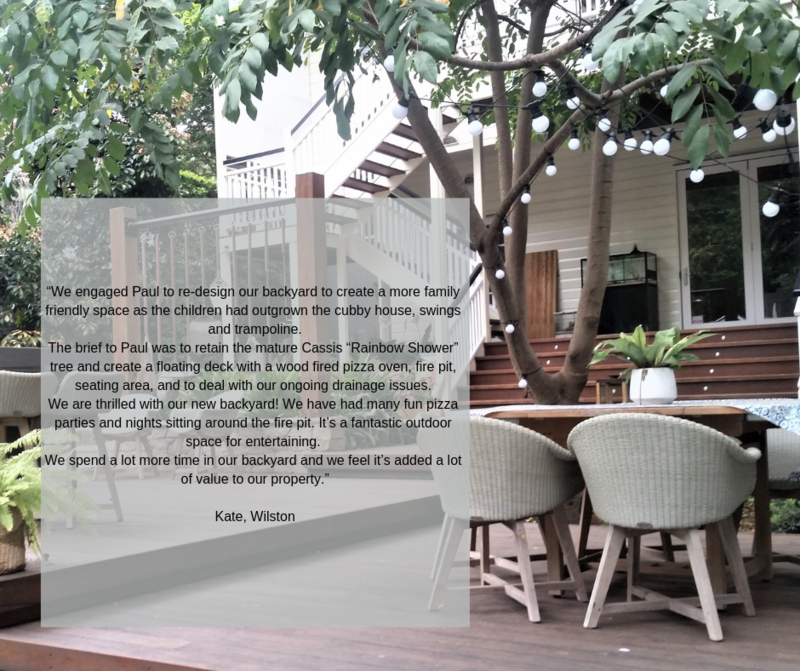 Often, quite unjustly in most cases, people expect a Landscape Contractor to give professional design guidance; this is like asking a builder to design your house. Although there are certainly some contractors that have a passion and flare for design, most are not qualified to do so. (Always ask your contractor about his design qualifications). A Landscape Designer has been trained to consider the garden as a whole with their extensive knowledge of space theory and design secrets. They will give you an unbiased plan, with consideration to the budget set, quality of materials and plant species, and a plan that is designed for your needs rather than how much profit can be made. 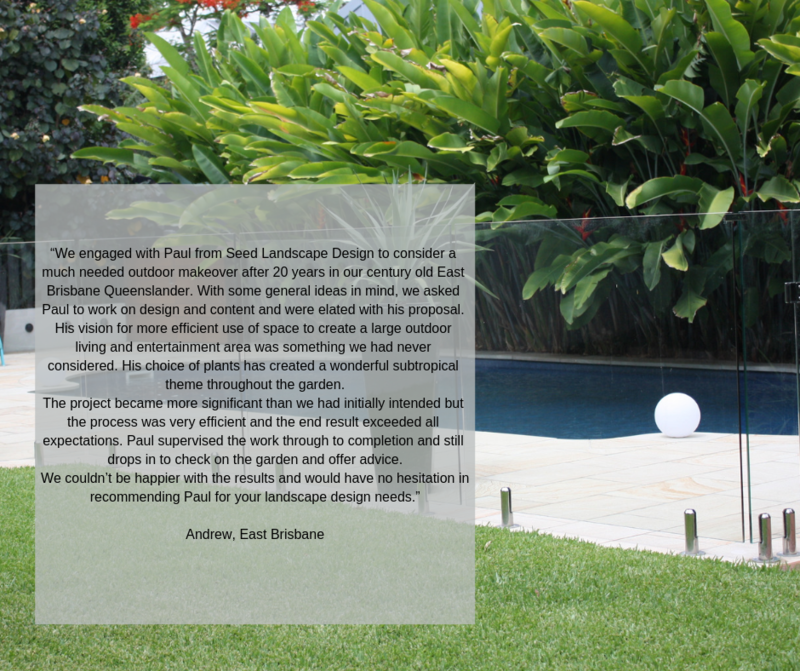 A good Landscape Designer will then be able to recommend a high quality Landscape Contractor to construct the design. Most will oversee this next stage in your landscape development to ensure there are no corners cut. The main deference between the two styles of landscaping is that design/construct obtains profit from the project by giving you less value from your budget, whereas with design & construct you have fixed prices. When receiving a number of quotes, be aware that these two methods are very different, and thus impossible to compare to each other, unlike quote comparison with a plan. If you have any questions about how these different service providers work together, please contact me and I will be happy to help. 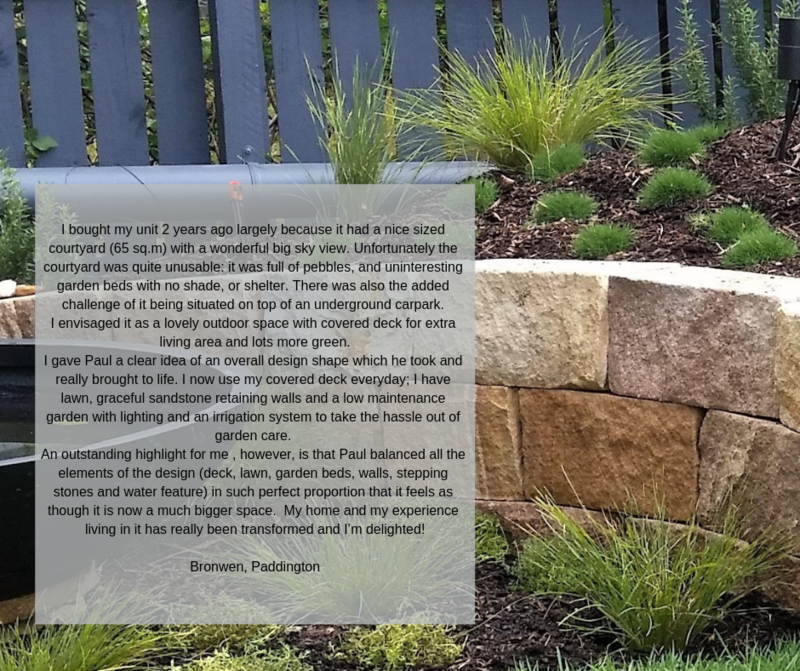 Why Use A Landscape Designer?